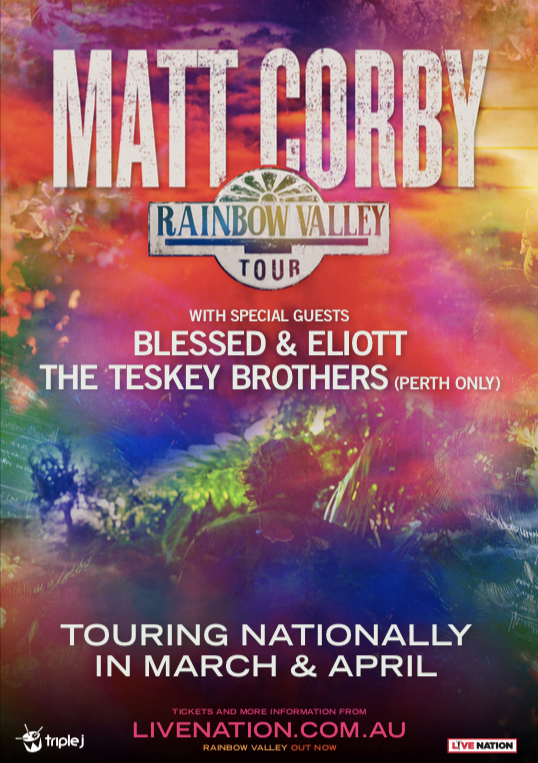 MATT CORBY today announces the special guests joining him for his Rainbow Valley Tour – ELIOTT, BLESSED and THE TESKEY BROTHERS (Perth only) starting next week. Melbourne-based singer-songwriter Eliott has already won fans around the globe with the emotive, honest song-writing on her 2018 debut EP Bold Enough. Spanning six tracks, including ‘Over & Over’ and ‘Calling’ the Bold Enough EP received rave reviews from the likes of Clash Music, Indie Shuffle, MTV and was supported by triple j. The release has firmly put the spotlight on the striking vocals of one of Australia’s newest stars. Bridging the worlds of punk and hip-hop, Sydney based Artist Blessed is a guitar-wielding rapper, singer, and producer. Born Blessed Samuel Joe-Andah in Ghana, Blessed has been giving us one punchy track after the next since his debut single arrived in 2016, and engaged us with his #BLESSEDSUNDAYS, a sonic diary of music released weekly every Sunday for free on YouTube and Soundcloud. With a focus on introspection and the search for one’s self and the balance within, all the songs follow a feeling and intuition while battling outside influence. Blessed joins the Rainbow Valley tour on all shows except Perth and Hobart. Appearing in Perth only, The Teskey Brothers are a rare musical gem. Honouring that old school Motown sound and working it into something of their very own, the band have received widespread acclaim for their gorgeous debut album Half Mile Harvest. A raw combination of soul and blues, the record has warmed the hearts of listeners everywhere with its melancholic, analogue tones. The 6-week tour takes in all capital cities but also visits regional areas including Rockhampton, Townsville, Cairns, Canberra, Gold Coast, Geelong, and Hobart. 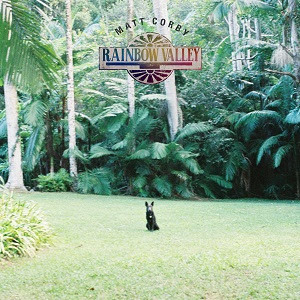 Matt and his band will play songs from the new album Rainbow Valley to Australian audiences for the first time and will be his first headline tour since the Telluric Tour in 2016. Recorded in the idyllic surroundings of Byron Bay’s Music Farm studios, Rainbow Valley was released last November which contains singles ‘No Ordinary Life’ and ‘All Fired Up’ and current single ‘Miracle Love’. Rainbow Valley is available in CD, digital and limited-edition vinyl format’s from here. The album includes singles ‘Miracle Love ‘No Ordinary Life’, ‘All Fired Up’ and ‘All That I See’.